These are the artists who have influended me great deal one way or another. 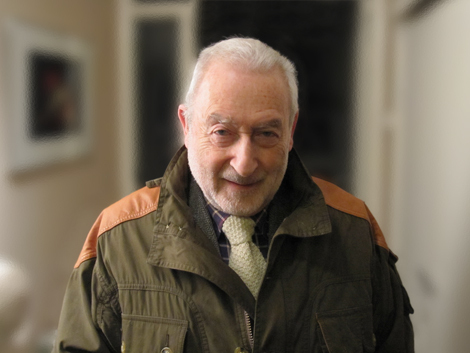 Edward Mendelsohn was a retired architect in London, originally from Vienna, seeking refuge in England when he was a little boy, when Hitler advanced into Austria at the outbreak of World War II. After a lifetime working as an architect in London, leaving a number of his signatures in the city, he produced computer generated images and showed them in galleries and exhibitions in and around London. Edward Mendelsohn occupied an important position in my life, because this was the man who successfully introduced me to the contemporary art after a number of people had tried and failed. Before I met Edward, I had absolutely no respect for "artists" who didn't have any skill or well-balanced sense of composition: Would you listen to musicians who have no skills or don't understand harmonics? Apparently, the art does not exactly parallel the music. Since I met Edward, I've come to appreciate many of them, and I now realize that some of my own images bear the influence by some of them. 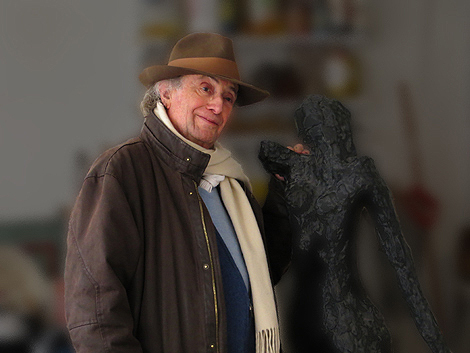 ❖ His paintings and sculptures: roger-benevant.fr. In order to understand Mark Rothko's paintings, it might be helpful to know a little about our brain composition, specifically the triune brain model that describes our mammalian brain by dividing it into 3 evolutionally defined regions that can be differentiated not only by their different brain functions and different neurotransmitters that they use, but also by their different chemical properties that can be stained by different reagents for microscopic inspections: the oldest region is the reptilian complex that simply manages and maintains our vital organ functions, but the newer region, the limbic system (paleomammalian complex), is where the emotions happen. The newest region, the neocortical complex (neomammalian complex), is where the logical thoughts are formed, which in tern may affect our emotion through the limbic system. One of the main characteristic differences between the limbic system and the neocortical complex is that the limbic system takes time to change, but the neocortical complex may change quickly if an evidence is presented with reason. The conceptual art of the modern age by definition is neocortical, and so it may amaze us quickly with an impact when the new idea is first presented. But an idea alone does not carry us far in case of art, which is why it is so tiring to look at Marcel Duchamp's "Fountain" or "monochrome paintings" of Robert Rauschenberg today after many decades since the ideas were first introduced. 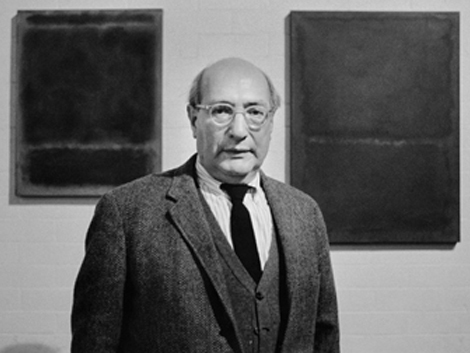 Mark Rothko was a true artist who painted paintings that directly appeal to our limbic brain to stimulate our imaginations and let us project ourselves onto them. It may take time to emotionally understand his paintings at first because of the nature of our brain that his paintings stimulate, but once we establish the connections, his paintings may stay with us for the rest of our lives, and even then, we can revisit them again for a further renewed experience. That to me is Mark Rothko whose paintings appeal to our emotions instead of our cognitive reasoning as all good abstract art should. 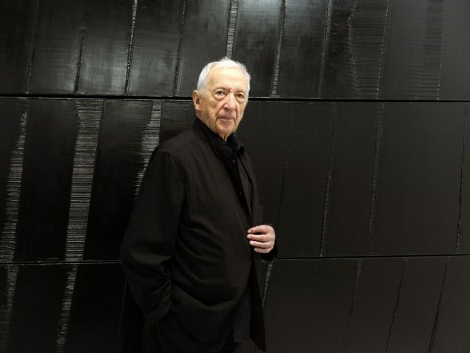 The French painter Pierre Soulages may not be well-known in United States, perhaps because some of his major paintings are similar to the abstract paintings of the past American artists. Franz Kline (1910-1962) painted large paintings characterized by large black brush strokes on white canvas, which Pierre Soulages discovered almost 100 years after him. Ad Reinhardt (1913-1967) painted many black paintings, which Pierre Soulages started painting in his later years by calling them, "noir-lumière." Pierre Soulages nevertheless is one of the most elegant painters with keen sense of colors and shapes among today's generations world wide. Monet's paintings are amazing: His monumental "Water Lilies" at Musée de l'Orangerie, for instance, appear to be both highly abstract and intimately realistic at the same time. There is a depth to each pond, which was typically painted by large seemingly careless yet well calculated brush strokes, and as a matter of fact, you can spend hours looking into it. Then there are clouds and deep blue sky reflected on the surface of the water among lilies and their leaves as well as other vegetation, all mixed in the complex reflections and refractions of light. 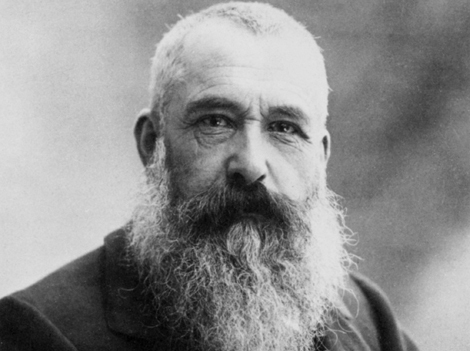 While many 20th century artists and "artists" alike have reduced our world into 2-dimensional spaces, Monet has added another dimension that touches our heart. 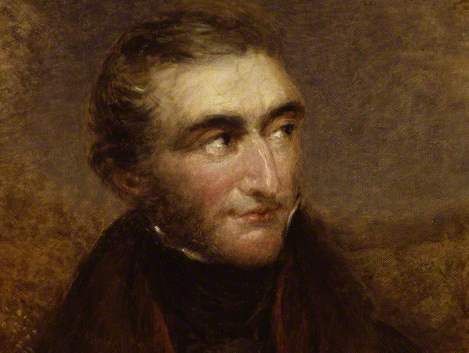 People used to wonder why William Turner had left so many "unfinished paintings." Eventually, people started realizing that they were actually finished paintings, and as a matter of fact, perhaps William Turner was the origin of the impressionism. In fact, Tate Britain once wrote for their 2005 exhibition, "Turner Whistler Monet," as follows: "Whistler and Monet were friends and collaborators who shared a deep admiration for the work of Turner... On close examination, a pattern of themes and variations begun by Turner appears to have been developed in the artistic interchange between the younger artists Whistler and Monet." William Turner's paintings have certainly influenced me in many different emotional levels.